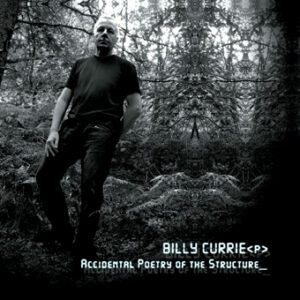 Billy Currie is a classically trained, multi-talented instrumentalist / composer. With a serious musical background, he was once offered a place at London’s prestigious Royal Academy of Music back in 1969. He opted not to go; the prospect of regimented training and academics being promptly traded for a more creative and experimental outlook. He didn’t go far wrong and since then, he’s worked with Tubeway Army and subsequently toured with Gary Numan’s band in 1979. He was also a member of Visage (a studio-based project fronted by New Romantic icon Steve Strange), and co-wrote the smash hit single ‘Fade to Grey’ with Chris Payne and Midge Ure. Now a long-standing member (since 1974) of the new wave electronic rock/pop synth pioneers Ultravox, Billy has long since been associated with the technical side of song crafting. Without a doubt he is Ultravox’s very own virtuoso of counterpoint and melody, and famed for delivering sounds of radical contrast; all of which seem to hold that air of suggestive spontaneity. Billy is typically noted for his trademark soloing, which in the main, was created using his ARP Odyssey synthesizer. 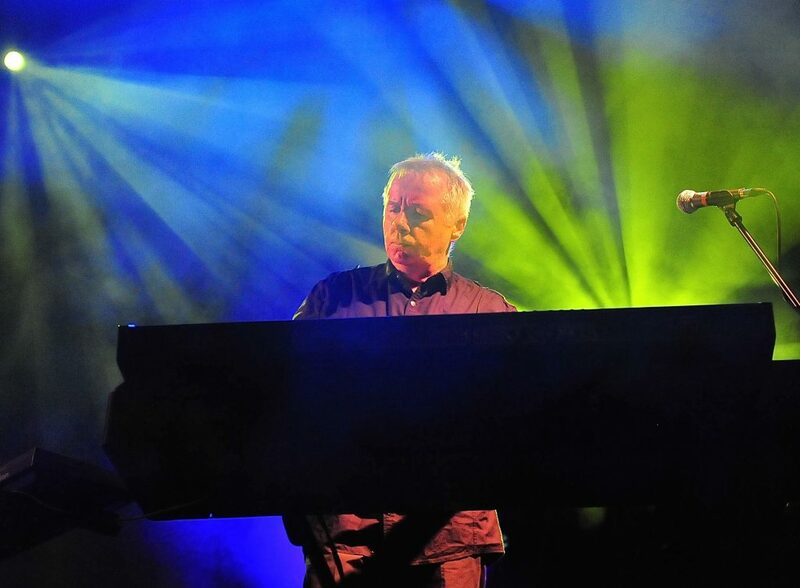 His profound blends of some of the most harmonious and expressive sounds, have not only helped establish him as a player with a unique charismatic edge, and one of unprecedented musical sophistication, but have also brought a somewhat striking shade to the colourful threads that were interwoven to form the music of Ultravox. As a violinist, Billy would create a stylish, yet subtle classical inflection that still manages to leave a glaze all of its own, some three decades-plus later. 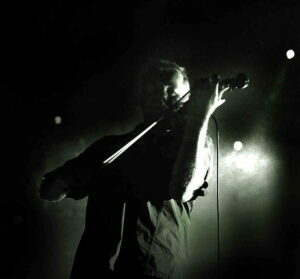 On an instrument that perhaps lends itself more to virtuosity than others, he has also given scope to some of the most meaningful and unique aspects of Ultravox compositions, when considering the eloquent melodic violin sequences contained within the vast majority of their earlier material. Alongside his sharp soloing however, be it on violin or synthesizers, there’s also the alto voicing of his viola playing, often understated and played legato – adding yet another dynamic to his sound. To date, Billy has eight solo albums to his credit. Each exhibits many distinct and individual stylistic features, ranging from the exhilarating and worldly Transportation (Billy’s 1988 solo debut), to the organic violin/viola sounds that constitute Stand Up & Walk. The most diverse of all, perhaps, emerges from the dynamic, intricate orchestration that leaps off the score to form Unearthed – showcasing snapshots of the lively symphonic, all set against contemporary vision, with definite impressionist elements that arguably go a little way to trigger a reminder to the French composer Maurice Ravel. Other works include Accidental Poetry Of The Structure, a delicately voiced dialogue forming an impressive collection of sensual and evocative compositions. There’s the heavily weighted, emotionally charged, upbeat synthesizer sounds hailing as Push, and not least, the wonderful minimalistic expanse that is Still Movement – to mention but a few. 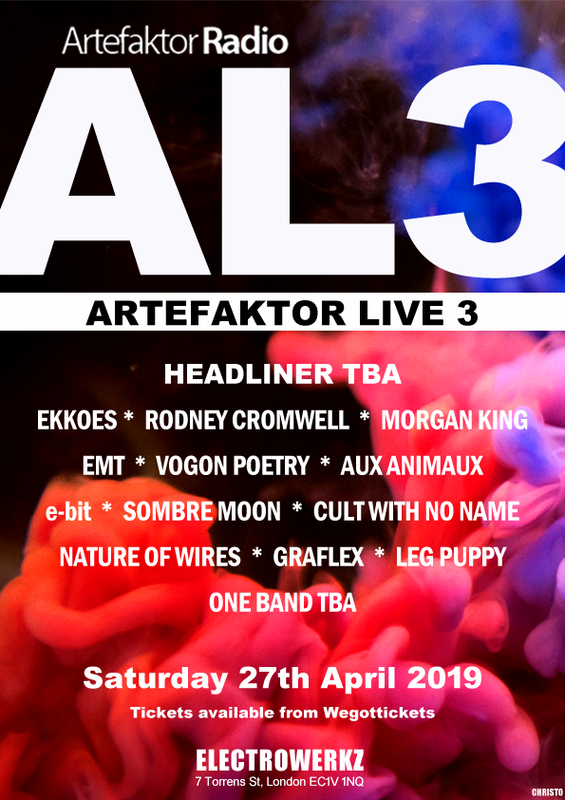 Following the reformation of Ultravox in 2009 for their critically acclaimed Return To Eden tour, there was more to follow in 2010, which saw them stage their show not only in Britain, but also in Europe and Scandinavia. 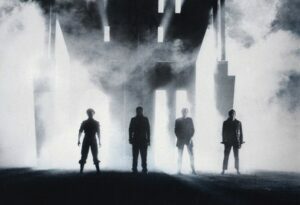 In the space of just two years, fans have been privileged with the release of the Return To Eden DVD (filmed live at the London Roundhouse in 2009) and also 2011’s Moments From Eden EP (recorded live during the German leg of the Return to Eden Part 2 tour.). However, the best and most celebrated news would come in January 2011 with the announcement of a brand new Ultravox album in the making. Fast forward to May 2012 and the album is here. The album entitled Brilliant is ready to hit the streets with Billy lately citing his favourite track was ‘Live’. Just very recently, Billy stated on his website that he was also working on his next solo output. The Electricity Club caught up with him to talk about his vast body of work and not least, the new Ultravox album. The news regarding the new Ultravox album only became public knowledge in January 2011 and was a tremendous surprise for fans – when did a new Ultravox record become a very real possibility for the four of you? It was July 2010. We had a meeting and decided YES! New music is something you seem to have set your sights on fairly early on, picking up from previous interviews since the live reunion? That’s correct, I discussed it with Midge and Chris as early as May 2009. They were not very interested then. We all got more serious about it while doing the 2010 Return To Eden Part 2 tour and in Sweden for the festivals, we spent the travelling time discussing how we would go about it. I have a great memory of Chris driving me and Warren all the way across Sweden to Varberg. We talked a lot. Beautiful country, especially in August. We usually went there in winter. After putting out so much solo material, how did you find working with a full band again? I was anxious at first. When we went over to Canada the first time in September 2010, we did not bring ideas with us to work on. I thought that was good. We all felt the same way. We had to start from scratch. I brought a couple of very basic ideas just to fall back on if we got a NOTHING HAPPENING AT ALL moment. One became ‘Rise’. The band put such a great rhythm to it that I had to take my average idea off and do something better. Midge helped. It was a simple pattern of chords. A few 2nd inversions though. That’s an influence from my solo work. It’s just the bass playing the 5th of the chord. How would you describe the tone of Brilliant? It’s sounding bright and positive. It sounds like we are having a good time. Stephen Lipson is an excellent choice as producer. What extra qualities has he brought to the album? Mostly energy! He has lots of it! He is very organised as well. We mixed it together. He is very good with drums and the bass synth. He would work tirelessly on them. He never forgot the whole picture though. His sounds are powerful and direct. He responded very well to the mid-tempo tracks. With ‘Hello’, he helped us virtually rewrite it in the studio! And with ‘Remembering’, he told us to go away and rewrite it! He does not take any prisoners. It was good that he knew how far to get involved. He knew not to start doing any writing himself. That was our business! We had a good laugh as well! Violin is your first instrument and you are a left-hander that learned to play right-handed (violin/viola). Did this present any barriers during your early years when learning the instrument? It did at the very beginning. It seemed so unnatural. It began to mean that I was much quicker making the notes, higher positions and generally faster. More head stuff. I loved the note number-crunching part of music like sight reading. My bowing with the right arm, which really should be the leader and creator, lagged behind a bit in power. My bowing got better when I was at Music College. My teacher likened the movement to animals and reptiles jumping to catch prey which I understood. Natural Instinct! Did you feel any inclination over the years to become a concert violinist or involved in anyway with symphony productions? Yes, that is what I intended to do. On viola, I led the viola section in the orchestra for four years, playing symphonies and all sorts of modern stuff. I loved the string orchestra as well. You are a classically trained pianist. But what first attracted you to the synthesizer? When I was in a band, I found that hiring a string synth like an Elka Rhapsody could put the track in a different world. A new world! So when I got the chance to buy an ARP synthesizer in 1977, it was to further that quest. It also cut like a chainsaw. It was nice to be heard. It was exciting to make my own softer sounds that would help the song by lifting it. I enjoyed making counter melodies to the vocals. Weird sounds could completely change the feel of a track. Was it love at first sight with the ARP Odyssey? What made it so special for you compared with say, the Minimoog? I just liked that honky mad sound. The LFO was in a good position for me. Just moving a slider up and down, forward and back. It felt right. The Minimoog was all knobs, it did not seem as agile. They were both incredibly spacey to use. Very different though. They were abstract times. You came, eventually, to a sound, used it and never got it back again quite the same way. A Minimoog that had to have the panel upright did not look cool for me but it had to be up to play it properly though. The ARP had a lighter keyboard action which I preferred. Chris Cross had a Minimoog which obviously suited his role in the band and Warren Cann bought his Roland TR77. Was there a particular moment or influence as to when Ultravox Mk1 decided to utilise more electronics? Our electronic sound started to creep in while making the Ha! Ha! Ha! album. My ARP, Warren playing more fours-on-the-floor like in ‘The Man Who Dies Every Day’, John Foxx’s vocals painting pictures, high synth helping with the pictures and Chris with the repetitive, still, bass guitar at that time, and robotic parts. In 1977, recording ‘Hiroshima Mon Amour’ was a milestone. You’ve mentioned in the past that when you were asked to join Visage, you had ideas stockpiled from before Systems Of Romance, “things that John Foxx and I argued about that we didn’t use”. So what songs on that first Visage album started off as Ultravox ideas? ‘Mind Of A Toy’ and ‘Tar’. Another became ‘I Remember (Death In The Afternoon)’ by Ultravox and one was used as the melody on ‘Kissing The Shame’ by me on Push. When the Vienna album was released, ‘Astradyne’ was the perfect opener and a glorious statement of intent. How was the track conceived, especially with all that interplay and the way the final section starts on that unexpected lift? It is hard to remember now. Midge started with that strong melody, Chris’ bass was also a very strong feature. I played a piano counter melody behind. The track was so strong that we felt at ease to lengthen it with a long textural piano bit that is sort of bell-like with the metronomic bass drum beats and the violin tremolo solo. We even start it with the spacey piano bit. Midge came up with that final section lift taking it out of the long ARP solo. I double it! It is a very good strong keyboard part. I used to say at the time: “Only a guitarist could come up with that!” I meant that as a good thing! It is very celebratory at the end. Definitely some La Düsseldorf entering the rehearsal studio. I loved the PPG. It was hard to programme though. I loved that glassy sound. It could also be crisp and metallic! I changed from turning a knob or a slider to moving numbers or letter increments in a window. A bit like getting your money from the HOLE IN THE WALL at the bank, not a very expressive action. How were you finding the transformation from analogue synthesis as a player and how it was affecting your creativity? It was tedious! The DX7… I had a rack of eight, it was good for ending all creativity and causing a severe headache! Good sound though when stacked up. With MIDI, I found myself mixing the more boring DX7 sounds with Oberheim or PPG. That was fun. All my synths seemed to be connected by a MIDI cable, like a washing line, round the studio. I could have five or six different synths linked together to get one sound. That got a bit silly though. You have worked with soft synths for a good while now and seem quite happy to do so. But at what point did you decide to get the ARP Odyssey fixed up for use on the latest album. It was a couple of months before the tour. I used it on my Still Movement album on the track ‘Deflect Downward’. I use it on my solo albums occasionally. Are you able to tell us on how many tracks the Odyssey appears on the new album? What was the most disappointing synth that you’ve used, the one that didn’t quite meet up to expectations and why? Prophet T8. I got it thinking it would be a competitor to the Yamaha CS80 but the action was always far too heavy. It was the only other synth that had a totally polyphonic touch-sensitive keyboard. It was about £4000… a bargain! You mentioned on a recent update that you have played violin on the new album – something that has always been a big part of the Ultravox sound. Can we expect some immensely atmospheric violin passages similar to those that were prominent on the likes of Vienna and Rage in Eden? There is a rhythmic violin on ‘Flow’. The rest are solos. One violin part is adding atmosphere behind the vocals. The Quartet and Lament albums had less obvious violin parts than the previous albums. Were there any particular reasons for that? No, but Systems Of Romance had no violin on. Sometimes, keyboards are so consuming, especially when there are lots of very interesting changes going on in technology. There certainly was in 1982 to ’84. To flag up your question about the change from analogue to digital, that was what was going on then. I sort of forgot about the violin. You must be very proud having just completed the first new Ultravox album for many years. Are there any particular highlights for you? I love the atmosphere of ‘Lie’, the chord changes of ‘Live’, and the simplicity of ‘Change’ and ‘Contact’. Apart from the fact yourself, Midge Ure, Chris Cross and Warren Cann have all written and recorded material – in your opinion, what makes this latest offering a standout Ultravox record? You have mentioned that you are working on a new solo record. Based on the superior quality of 2006’s Accidental Poetry Of The Structure and 2009’s Refine, that is another wonderful piece of news. How far are you with it, and have you incorporated any new influences picked up from perhaps working with Ultravox once again? I have got eight tracks going now. Working with Ultravox has encouraged me to get out my fiddle but I also thought: “Why not get my viola out as well!” It is quite a dramatic track with impOSCar sounds. Not too fancy. Mostly the violin and viola are in octaves. There’s some very strange violin on another. One violin is straight, the other is very effected! One track is very up with a tempo of 130 BPM. I’m using Nexus, that is a synth that I used on Ultravox’s ‘Live’ (in the middle solo section) and ‘Remembering’. That could very well be an influence from writing with Ultravox. The album will be released realistically early next year. Your first solo album was Transportation in 1988 but why was that released before the material you were working on which ended up as Keys & The Fiddle? I started a solo album in early 1983. I expelled much energy but then decided to shelve the music. I had just come off the eight month Ultravox Quartet tour and we were soon to start the Lament album. Visage was breaking up. I had to keep an eye on my energy. I worked with Steve Howe on a couple of the tracks so when I started work on Transportation in 1987, I got in touch with Steve again as I loved working with him! Keys & The Fiddle was an album that Rob Ayling at Voiceprint wanted me to do in 2001. It was a process of putting out all the music I had in the vaults. So to speak! Your solo work is primarily instrumental – how do you find your titles? They come according to the nature of the finished piece. So what’s coming up that you’re able to tell us about? There’s the British and European tour with Ultravox. We may be venturing out further in the New Year. I cannot say where yet as nothing is definitely booked. If you had to take just one of your instruments to a desert island with you, which one would it be and why? My viola. I sometimes hate playing it. It’s so big and hard to get round if I am out of practise. I love the look and smell of it! The Electricity Club gives its sincerest thanks to Billy Currie. The album Brilliant is released by EMI Records on 28th May 2012. Interview and live photos by Jus Forrest.